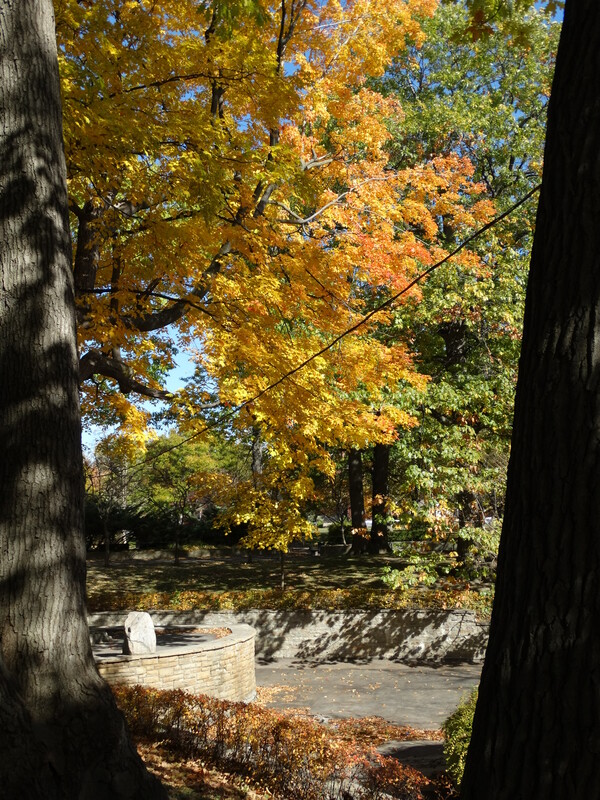 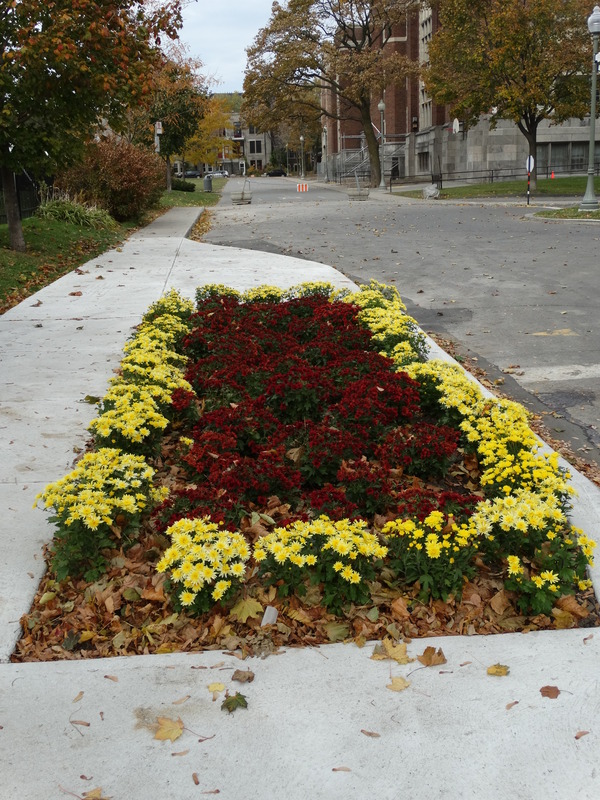 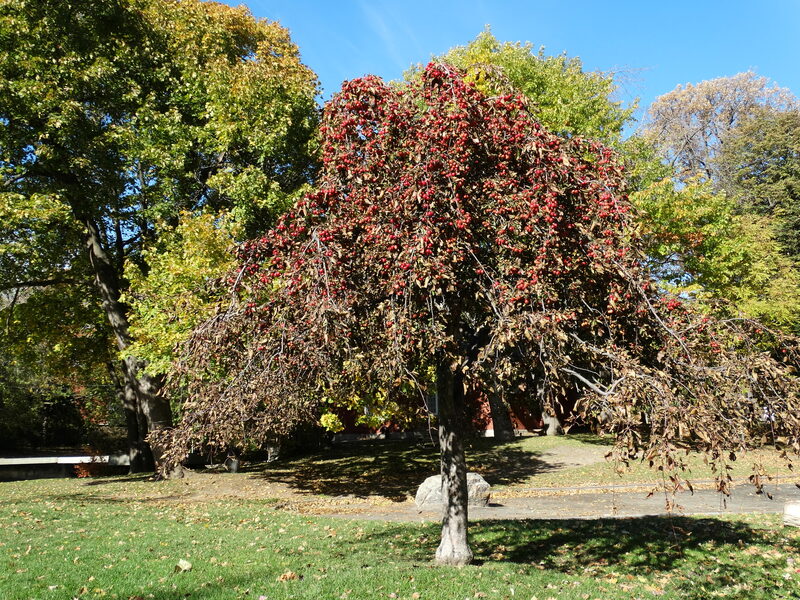 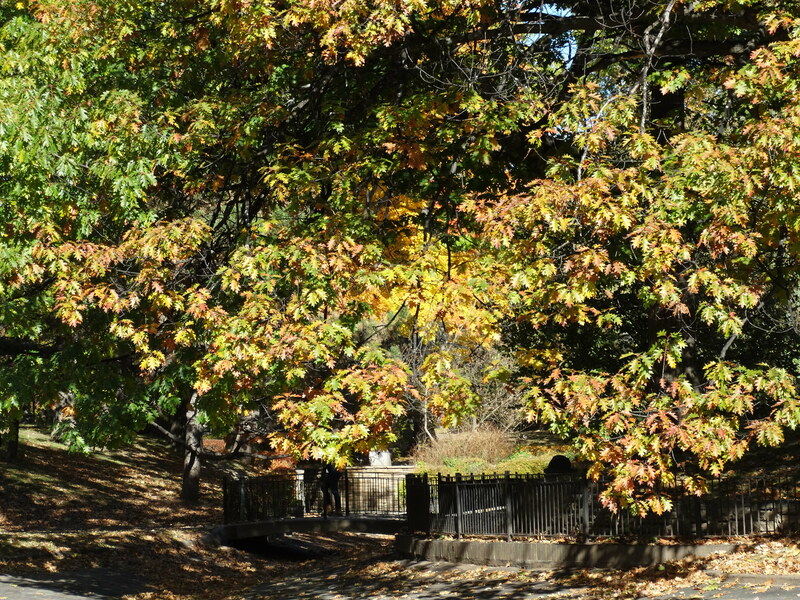 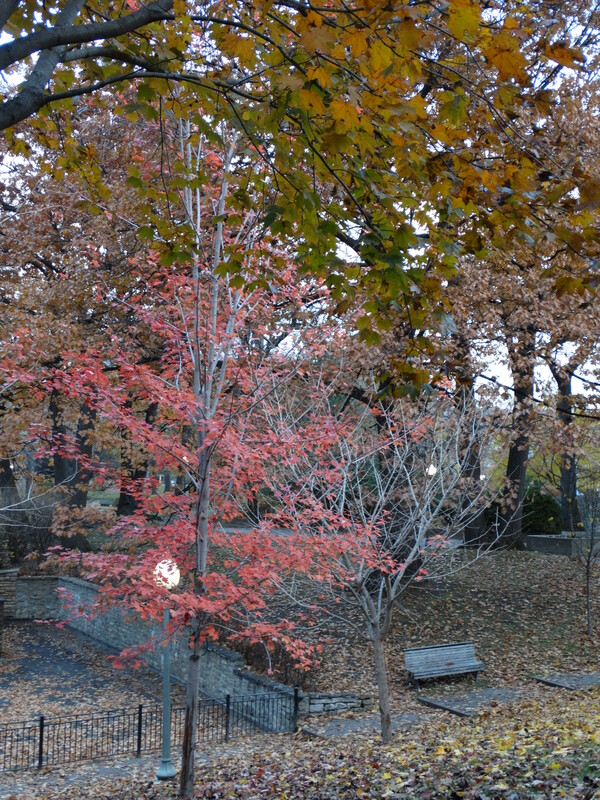 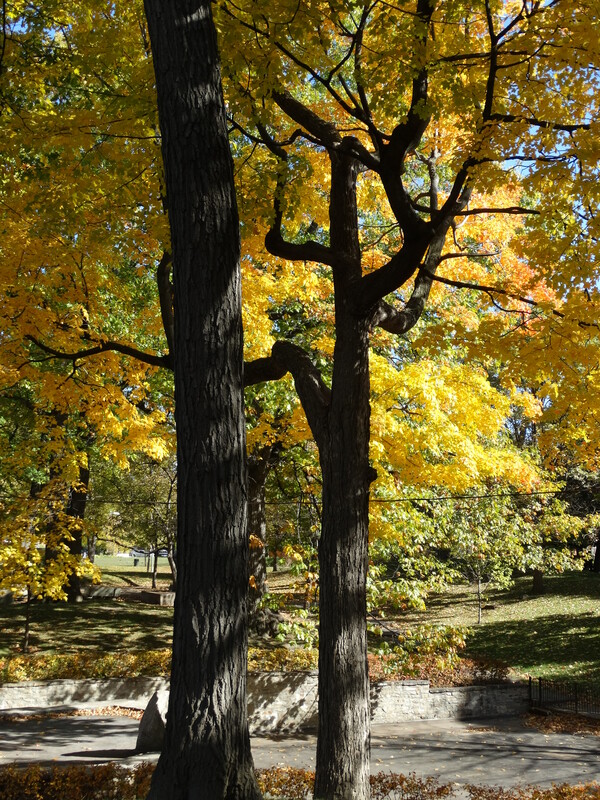 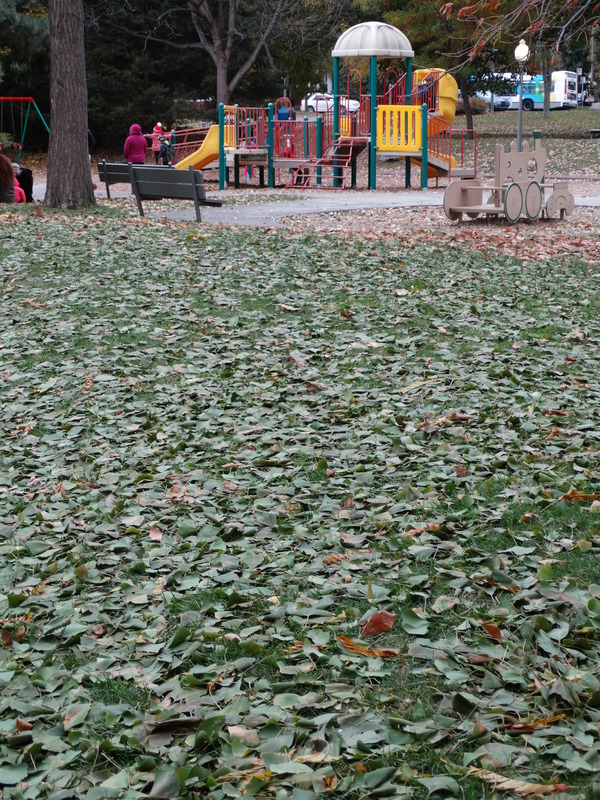 The park’s tree leaves have, for the most part, fallen. 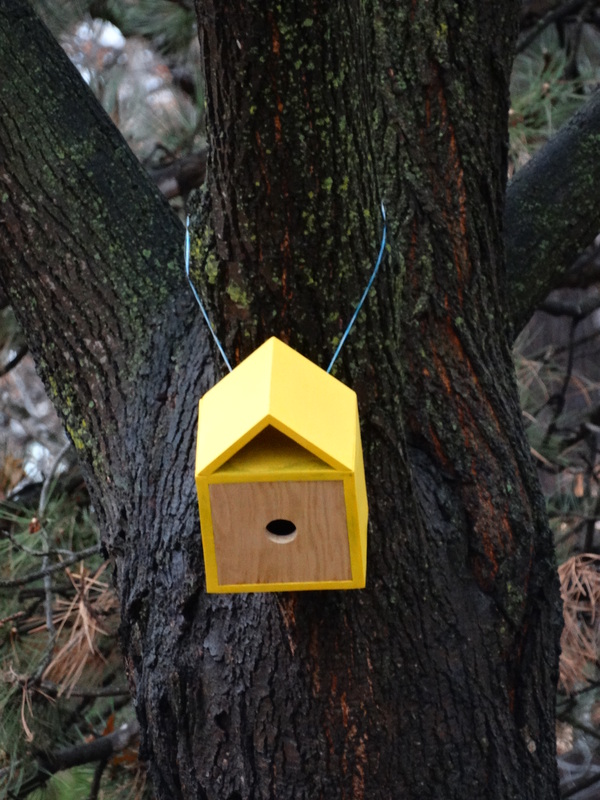 Someone; however, did install a “cheerful” yellow-coloured winter bird feeder. 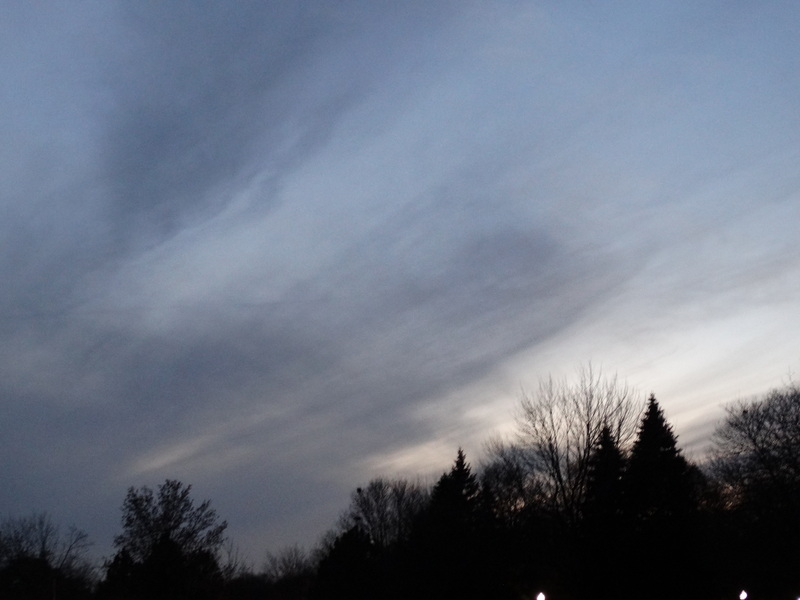 A beautiful sunset that is starting to occur, this month, before 5:00 p.m.! 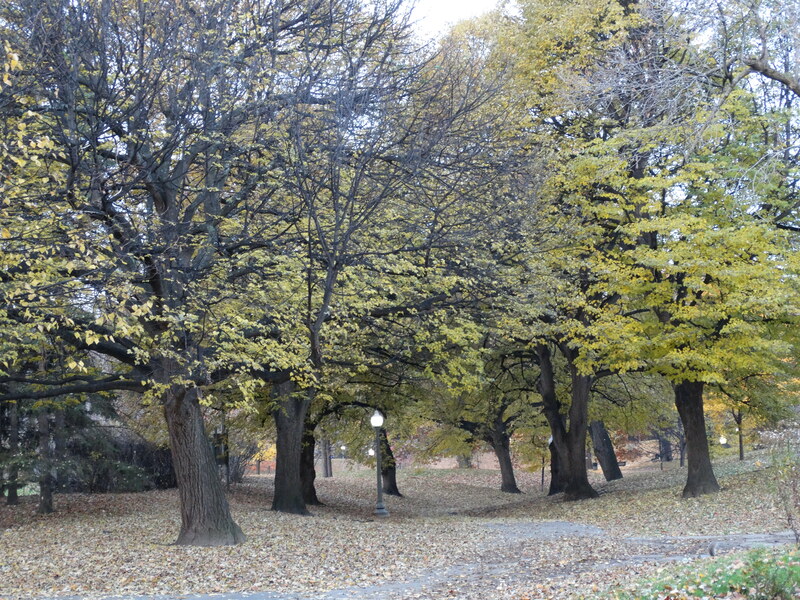 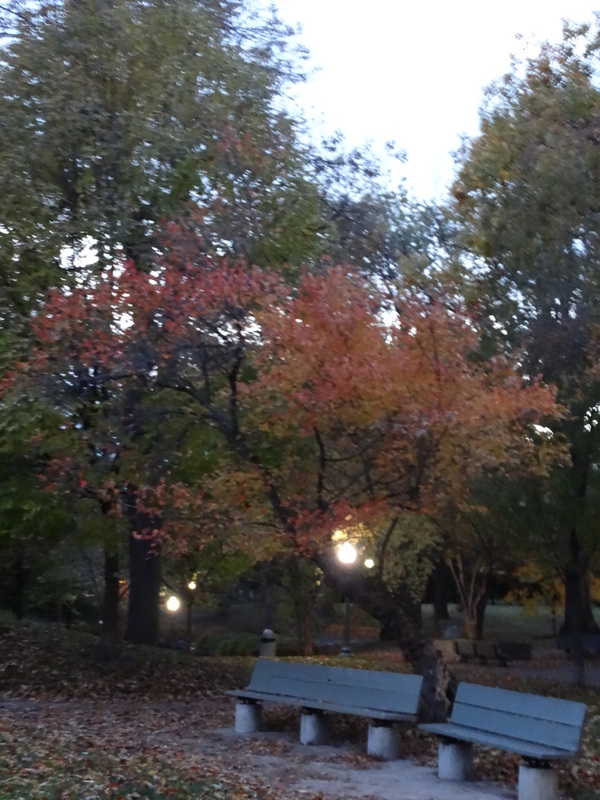 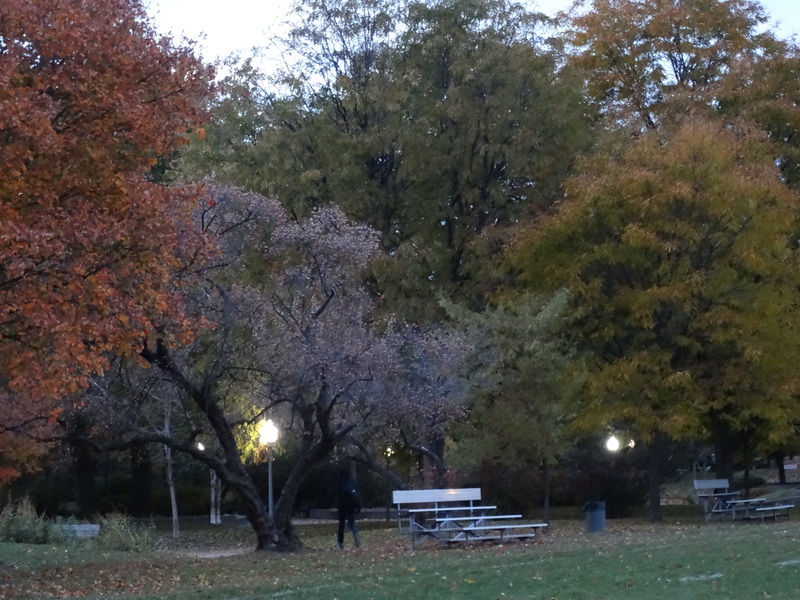 Another early morning walk through the park – there was a layer of frost on the ground! 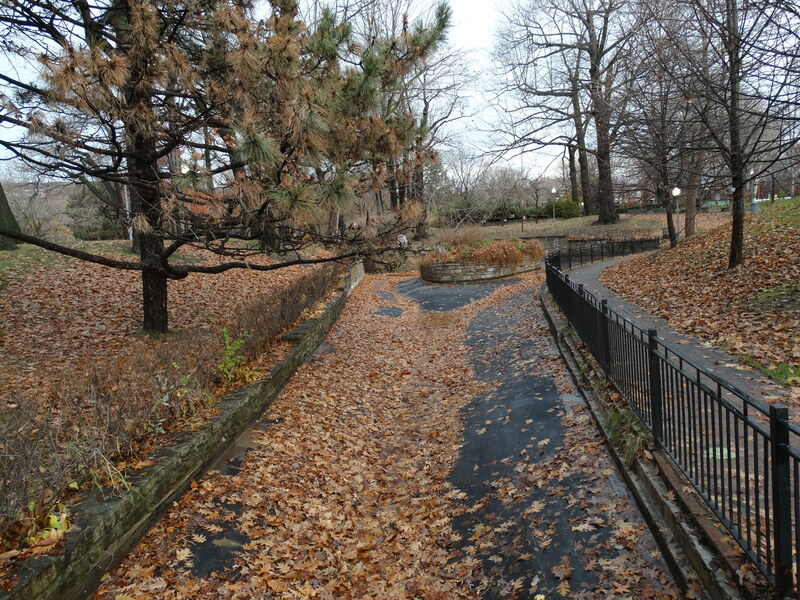 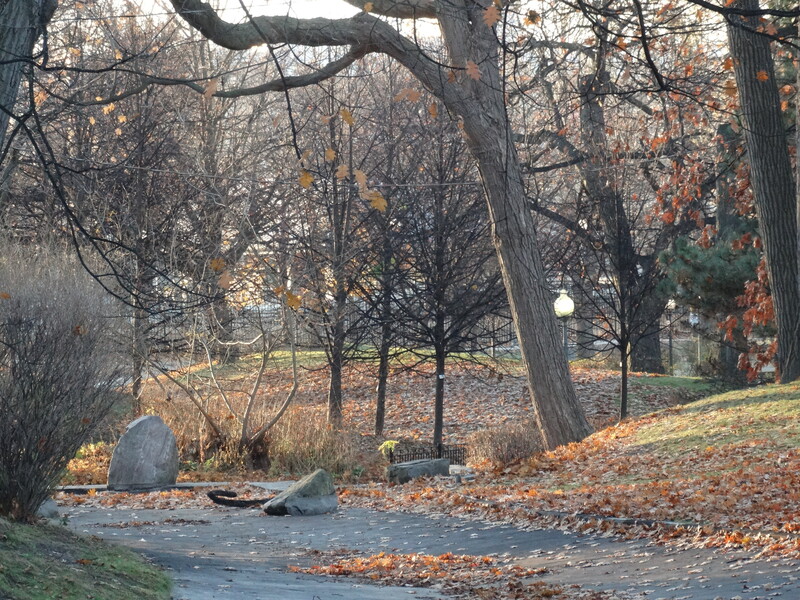 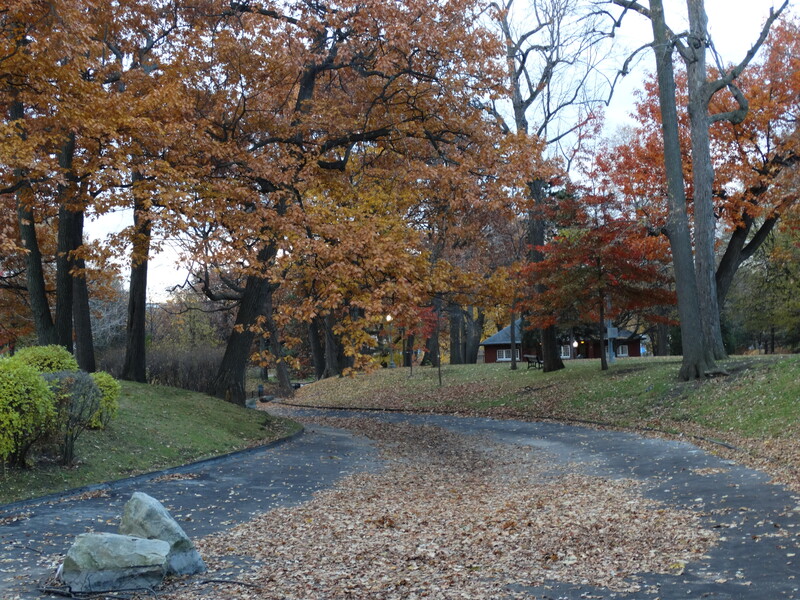 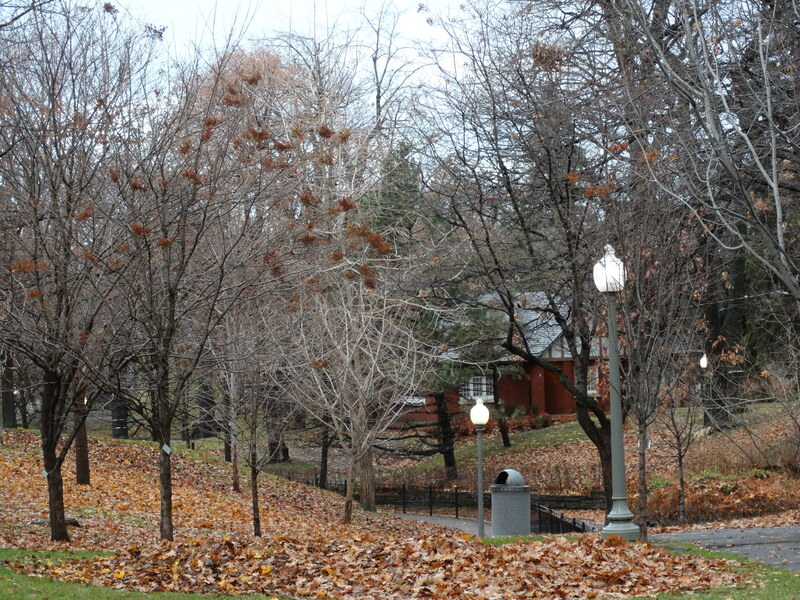 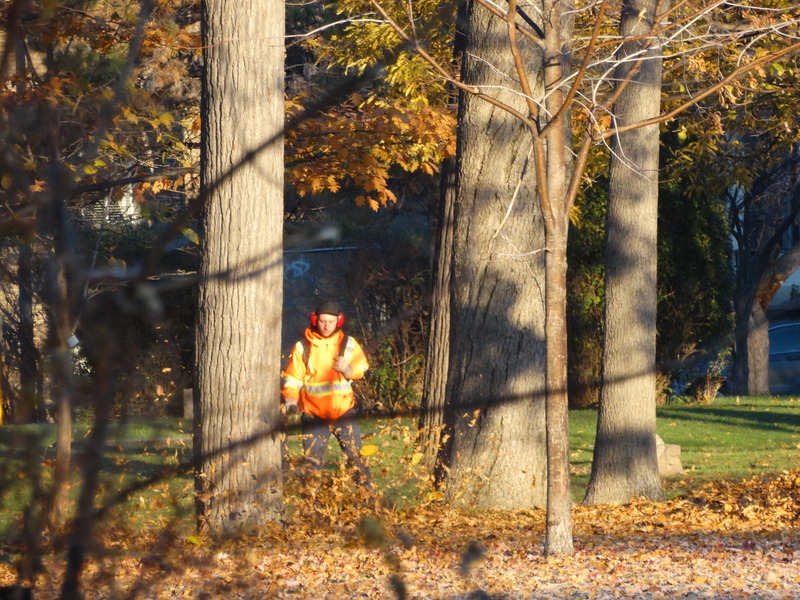 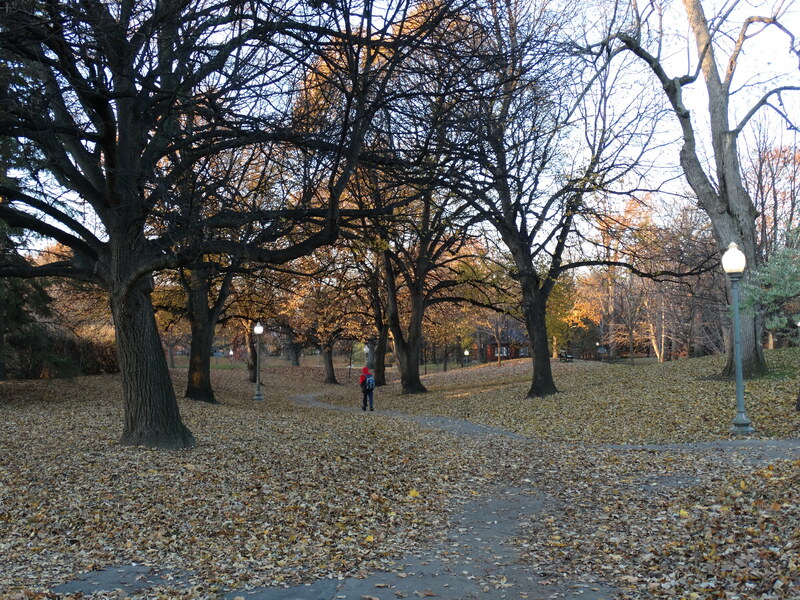 The beginning of a huge task that involves clearing the park’s leaves. 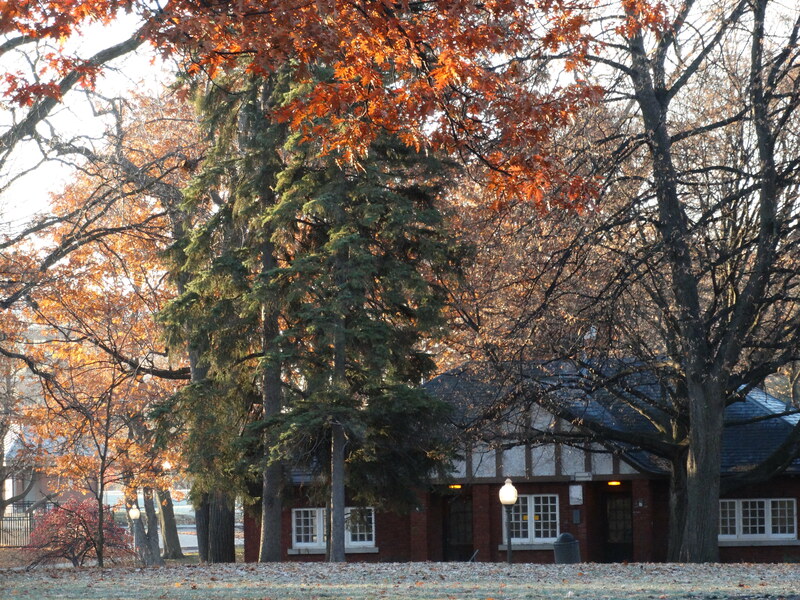 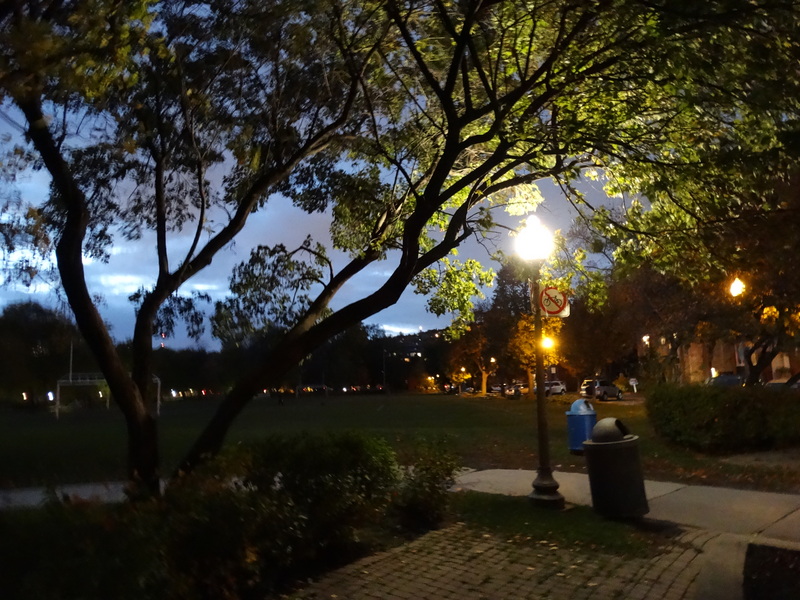 Sunrise over Westmount Park on a chilly October morning. 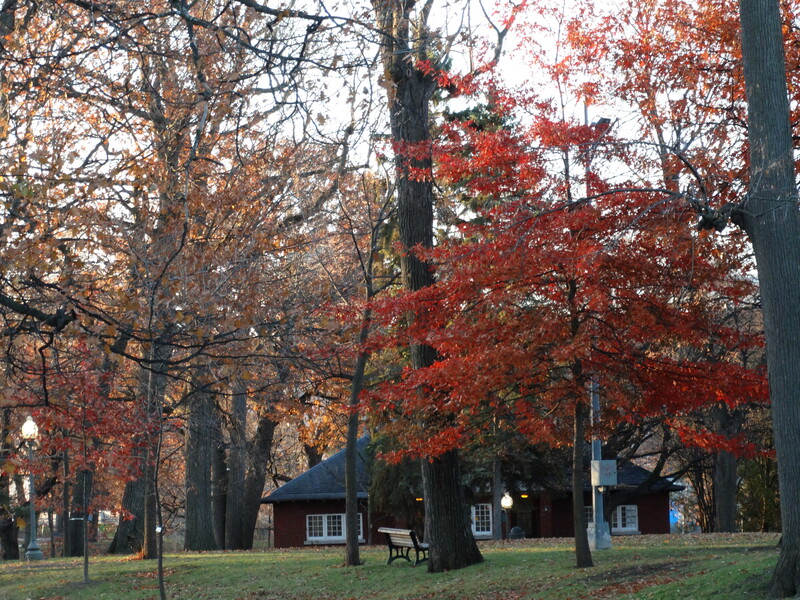 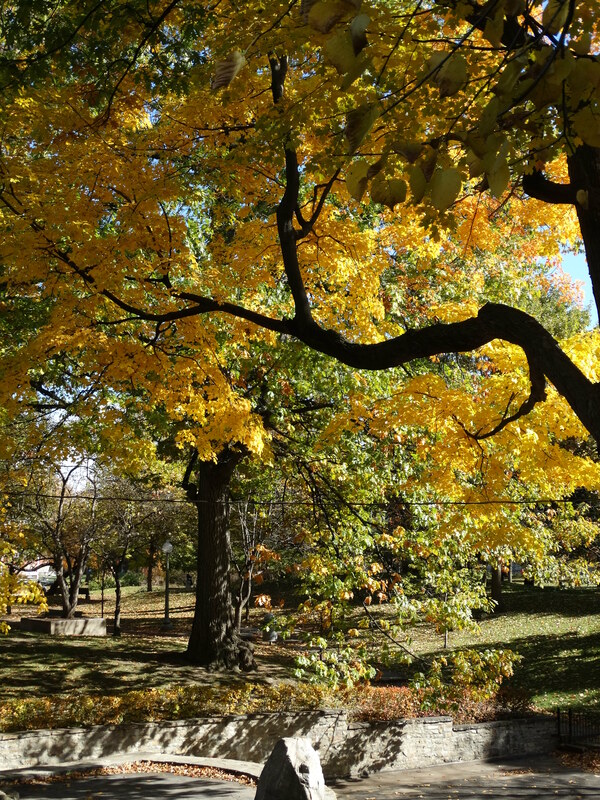 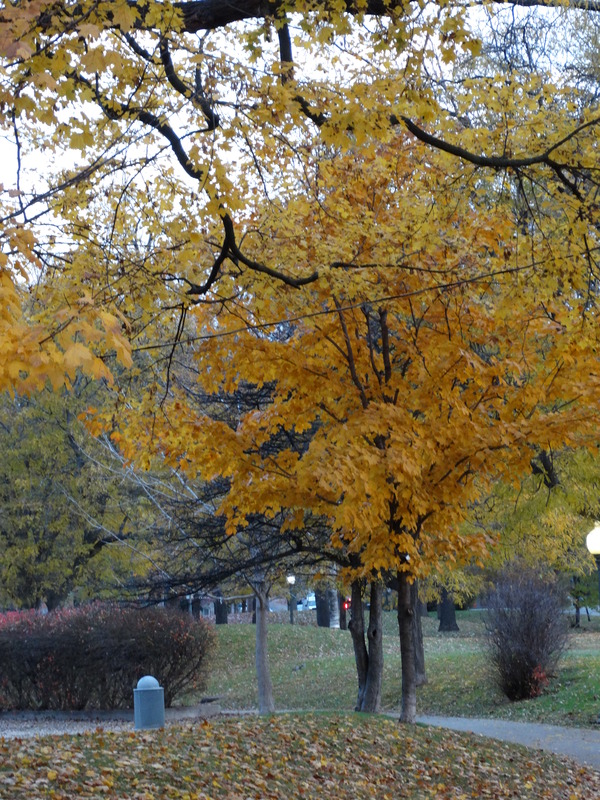 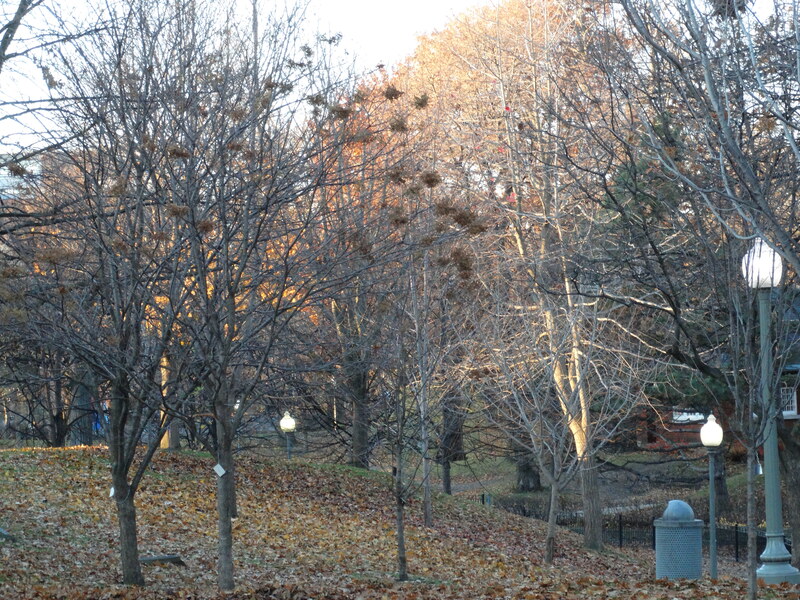 Our morning dog-walk, through Westmount Park, just as the sun was beginning to rise. 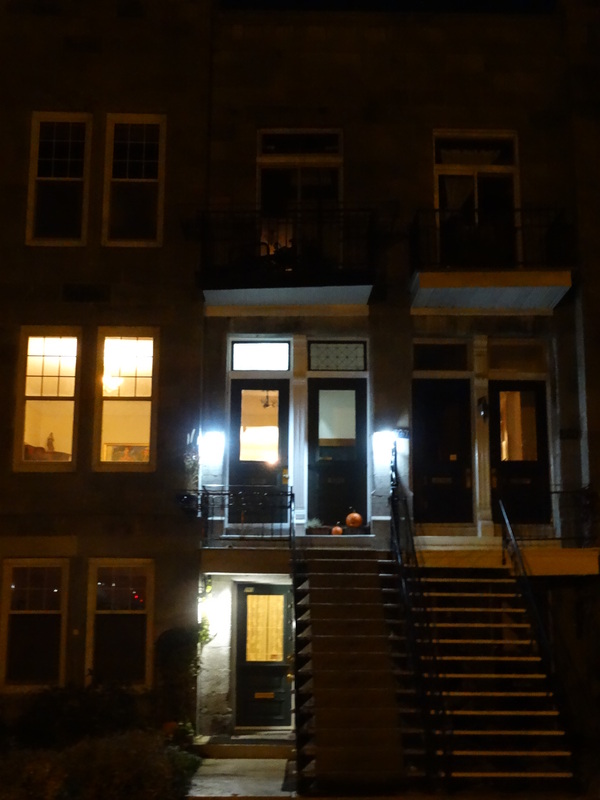 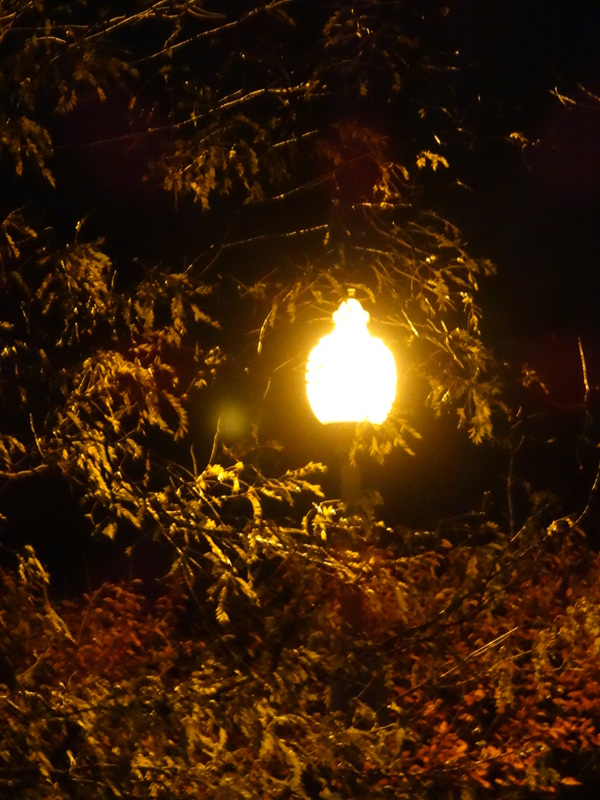 Melville Avenue – in the dark, at 6:30 p.m., the day after the time changed to Eastern Standard Time (also known as UTC-5:00).